If you are not currently teaching, you will be required to do a minimum placement of one morning per week in a Steiner School. 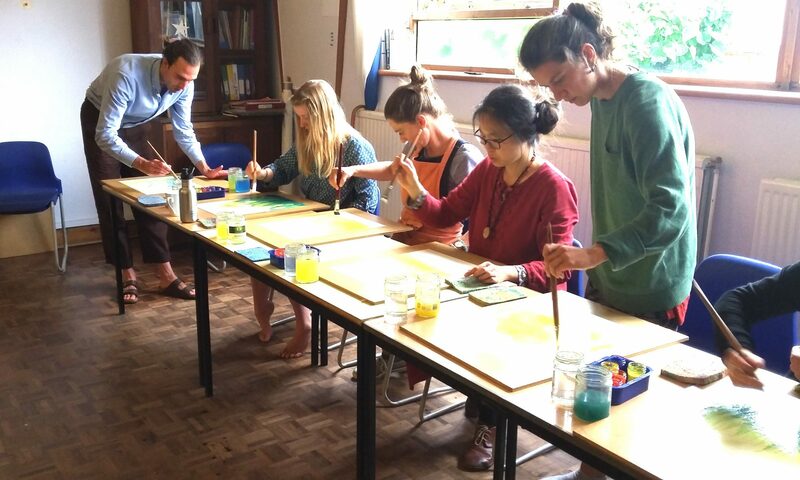 If you know of a Steiner school near you where you could do your half-day placement, please give its name. If you are currently teaching or assisting in a Steiner school, please state which one. We are able to help students who wish to find reasonably priced B&B accommodation in the Stroud area. Wherever possible we try to ensure that students with transport are paired up with those without transport, when arranging accommodation. I understand that I must pay the application fee before my application can be considered further. If you are offered a place, and you choose to accept it, you will be required to pay a non-refundable deposit of £300 in order to secure your place on the course. The balance of the tuition fees for the first year can be paid at the beginning of the year, or in instalments. When making a single payment, and payment is not received by 31st August 2019, the Late Fee will be applied (total including deposit: £2,595). If you decide to withdraw from the course before it begins, you will receive a full refund of any tuition fees paid, less your application fee and deposit. Up to 1st January of the course year - we will retain 50% of the annual tuition fee. Up to 1st April of the course year - we will retain £70% of the annual tuition fee. After 1st April of the course year - no refund will be paid. After considering your application, we will tell you whether we will invite you for an interview, in which case we will try to find a mutually convenient time. In some circumstances, it may be possible to arrange a phone interview. If you are currently in a school, you will either have, or will need to obtain, a DBS certificate – this is usually done through the school. If you are not currently in a school, a DBS certificate can be obtained through WESTT. Please upload a copy of your latest curriculum vitae. This should include your qualifications and grades: GCSE's and A'Levels (or equivalent) and details of higher education attainments. You will need to provide two references, which can either be submitted with this application form, or sent afterwards. First Referee: This should be your most recent employer. Or, if you have recently been in full-time education, it can be a referee from an academic setting. Second Referee: This should be someone who has known you for at least five years, who can vouch for your character and suitability to work with children. It should not be family member. Please Note: Waiting for references can delay the application process, so please contact your referees as soon as possible. Here at WESTT we take your privacy seriously, and will only use the information you provide in order to administer your account, and to provide the services you have requested from us. We will never share your information with third parties, unless you specifically ask us to do so.